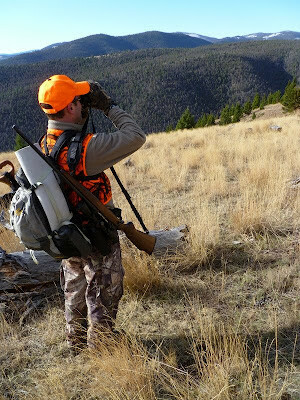 The old Chinese curse, “May you live in interesting times” seems to follow Montana’s hunters around these days. Last week, the FWP Commission voted to not extend the wolf hunting season in Wolf Management Unit 250, the West Fork of the Bitterroot. The Commission cited concerns over an ongoing predator-prey study funded by Montana Wildlife Federation Affiliates Ravalli County Fish and Wildlife Association, Hellgate Hunters and Anglers, and the Rocky Mountain Elk Foundation. Commissioners cited other concerns such as the ethical choices made to harvest pregnant wolves, and what that public perception would look when hunters held up a dead wolf that is lactating, or visibly pregnant. That’s an image that should be burned into every hunter’s mind. Currently, hunting and hunters have strong support from an overwhelmingly non-hunting public nationwide. We’ve worked for a century to craft an image of what ethical, fair-chase hunting looks like. Wolves are a natural part of Montana’s wildlife heritage. They can – and should – be managed like other wildlife, including mountain lions and bears. However, wolf management is emotionally supercharged on both sides of the political spectrum. As sportsmen and wildlife managers, it’s our job to let tempers cool down, look hard at the data, and make decisions based on the long term health of all wildlife, predator and prey. The Montana Wildlife Federation has consistently pushed to reduce the wolf population in from the Bitterroot – Wildlife Management Unit 250. Working with our affiliate in the Bitterroot, we helped lift the legal roadblocks that stood in the way of active management and helped lead the effort to have wolves removed by hunters when they are depredating on livestock, and stood in strong support of extending the season to February 15, as well as supported the extension in the Bitterroot to April 1st. However, as with all hunting seasons, wolf season must come to an end. Montana has a long held tradition of providing some level of security for all wildlife species. Wolves should be no different. There will be a new hunting season for them, come fall. Our big game herds face a multitude of challenges. Wolves and other predators are the easiest to fixate on, but the least likely to influence overall herd dynamics. But we should never, ever take our eye off the ball – habitat is the bottom line. If we maintain good habitat, prey and predators will coexist as they have for thousands of years. If we lose the habitat, we’ve lost everything. Subdivisions, loss of winter range, noxious weeds, winter weather and overharvest have had more influence than lions, bears or wolves throughout most of the state. We have had a couple above-average winters after decades of mild winters, which also has much to do with the state of our wildlife populations. Yes wolves impact elk, deer and moose. There is no denying that. However, one cannot reasonably look at places like the Bitterroot, Gallatin, Flathead counties and other areas of heavy development and not bemoan the loss of traditional winter range. Montana made a commitment to manage wolves in a scientifically defensible manner that provides for the long-term viability of the species. Citizens came together and crafted the Montana wolf management plan. Our management of wolves is based upon that peer reviewed, citizen crafted document. Hunters, Landowners, Livestock Producers and Conservationists all sat down and drafted a plan that allows for the adaptive management of wolves. No plan is perfect but this plan does give Montana citizens a real opportunity to manage the wildlife that means so much to the people of this state. Claiming that the FWP failed on the second regulated wolf hunt in the history of the State is short-sighted, and does nothing to bring people together. Wolf hysteria might serve politicians and pundits, but for the rest of Montana, it’s time to get beyond the hysterics, and start managing wolves just as we do Elk, Deer and other species. FWP did a fine job of managing wolves in 2011. So long as people do not sacrifice the hard work that the wolf working group put into our plan, Montana will be managing wolves in the future. Come to think of it, we do not just live in interesting times. We live in historic times. Montanans have a chance to prove that we can manage a full slate of wildlife species. Let’s do it right. Good post. Yes the predators have a place on our landscape and I believe that our FWP and the Commission have done a good job managing them. At the end of the day it proves that we can manage the wolf as we do other game animals. The commentary goes on to state that habitat loss is a huge part of successfully managing wildlife, how true it that! We have it good in Montana, don't let the emotions of the ranters, ravers and screamers sidetrack our efforts. Let the calm, logical and scientific voice guide us.